Linode will be opening a new datacenter in Shinagawa ward, Tokyo, Japan, this fall and I was able to interview Linode’s datacenter operations manager, Brett Kaplan, who answered questions I asked regarding the upcoming Tokyo datacenter launch. 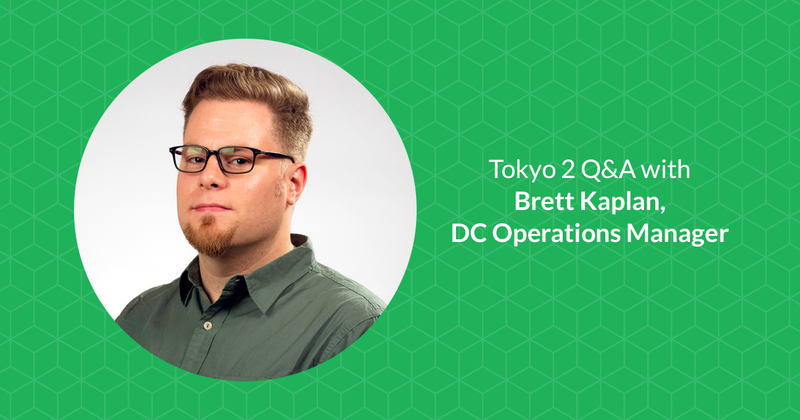 Brett, who has worked at Linode for seven years, explained his duties, why the datacenter was needed in Tokyo, where it will be placed, and some logistical challenges his team has encountered along the way to the datacenter going online later this year. He also disclosed a little-known secret about the fate of retired servers in the Linode fleet. Soh: What kind of responsibilities does being a Datacenter Operations Manager leave in your hands? Brett Kaplan: My team is responsible for all of the servers and ancillary hardware — procuring, installing, repairing. We also handle research and development and preparing new colocation deployments. Soh: Why did Linode decide that they needed what we’re calling Tokyo 2? Brett: Logistical issues prevented us from expanding in our present Tokyo location. We could no longer offer our customers the level of service that Linode is known for. Soh: Can you share what kind of concerns you needed to keep in mind for picking a datacenter? Any kind of hardships or challenges? Brett: Finding the right colocation provider is a huge task. Our criteria for any new facility are vast and require tremendous attention to detail. One of the most difficult aspects of this project is that many Japanese companies do not have English-speaking employees available 24 hours around the clock. Should issues arise, we cannot wait for technicians to arrive on site. We cannot risk potential language barriers and miscommunication. Soh: It’s good to hear that averting language barriers is a priority — even though hardware is the origin of the service, being able to communicate with remote hands technicians in an emergency is something that needs to be accounted for. Was this process completed as quickly as you had expected? Brett: It is important to be accurate. Due diligence tasks take a long time. We ran into issues that created delays here and there, but these are part of any datacenter preparation process. Soh: What kind of difficulties are you able to share that happened along the way? Brett: You name it, we had a problem with it. Everything from cable lengths being miscalculated, to shipping/customs delays, to dealing with time zone differences. We encountered and overcame. Soh: How difficult is it in choosing who to set up our servers with? Brett: Weighing features, requirements, and pricing can be difficult. Finding a facility with access to the correct transit providers is also really important. Soh: Is there a special area where the server racks are placed in the Equinix facility? Like a ‘Linode only’ area? Brett: We utilize a large, private cage at most of our facilities, including this one. Only Linode hardware can be placed in this cage and only Linode employees can control access. Soh: Does Linode do anything special with the servers we load into the datacenters? Is there anything custom-tailored or specially prepared? And if so, why? Brett: Our hosting hardware is completely custom-built, based on our specifications. The hardware is the result of thousands of hours of research and development that ensures we’re configuring the best cloud experience for our customers and the highest performance in the industry. In addition to our hardware, our internet transit blend is completely custom and consists of many different providers, as well as access to a popular Japanese internet exchange. The reason for this is simple: we need to ensure the highest performance and lowest latency for our customers. The only way to do that is by using the best hardware out there along with the best networks in each specific region. Hardware or networks that no longer satisfy our specs gets retired and removed from the datacenter. Soh: That’s actually really neat! So, what does Linode do with older hardware? Brett: Once all of the retired hard disks and SSDs have been securely destroyed, we remove the actual server unit from the facility. We often donate the surplus units to colleges and universities. We’ve also donated to local organizations such as hackerspaces and other tech-related organizations. Our employees can “adopt” an orphaned server. If we cannot find a donation recipient, we will resell parts. Its surprisingly difficult to find willing donees in the education sector, much more than you would think. We try. Soh: Securely destroyed? I’d love to see this! Perhaps you’ll let us take some footage of this happening the next time? Slight, “official” disclaimer: I received an older host myself for testing purposes years ago, it has more power than I know how to deal with by myself. Well, Brett, you have explained quite a lot — thank you for your time! Getting this second location in Tokyo should help plenty of users, who, like me, are pretty excited to hear it is almost ready.